Posted 4/14/2019 10:46am by Kerry Gawalt. We have lots of farm raised beef in stock. The jerseys are raised on fresh grass May to October, hay and supplemental grain. We have 25lb boxes, 50lb boxes, custom box, 1/4, 1/2 and whole animals available. See the link below for more information. Beef or omnivore CSA shares are another way to get our beef. Posted 4/8/2019 3:35pm by Kerry Gawalt. Thank you to everyone who came out to see the farm, the Hartland Cattle Club 4H and Farmers Body at Flavors of the Valley yesterday. We sampled two of our cheese, many types of soaps, lip balms and hand creams and the 4H club raised over $500 selling raffle tickets, handmade shopping bags from recycled grain bags and homemade banana breads. The Farmers Body products will be in our farm stand, at the Lebanon Farmers Market, DHMC and available through our bodycare CSA. Our plants are growing in the warm, propane heated greenhouse on this icy and rainy day. Soon they will be transplanted in our unheated high tunnel. The tomatoes, peppers and eggplants will leave their heated table and move into 4 inch pots of farm made potting mix in a few weeks. We are fortunate to have a beautiful supply of farm generated compost for starting baby plants. We make a mix of compost, perlite, peat moss and organic minerals tailored to the needs of each crop. As soon as the ground drys out, Stephen and the horses will spread straight compost on the garden where summer and fall crops will be grown. We have many local vegetable farms without their own animals who buy our compost. We have 1 million pounds of compost waiting for the weight limits to come off our road and be delivered by the 40 Yard tractor trailer load. This still leaves the farm with all the fertility for our 72 acres that we steward. Kerry, for the farm crew. Posted 3/31/2019 2:13pm by Kerry Gawalt. Last week saw both deep winter and spring weather. We had two very cold nights followed by warm, windy and wet days. We have been bust planting in the heated greenhouse. All around the farm the transition from winter to spring can be seen. The snow is melting, the cows are shedding their winter coats and the farm road is a mix of ice and mud. One of the big projects each spring is moving cow manure to the compost stacking pad. We store the material from the barn in a covered manure storage facility before moving it out to the stacking pad. We make millions of pounds of compost each year to feed our soils, our neighbors gardens and sell the rest to commercial growers. This last week we got our tomato, eggplant and pepper greenhouse ready for the early May planting date. Our high tunnel was hit by a freak wind sheer which ripped the wood, metal and plastic off it. It sent the plastic and 100 feet of steel pipe more than 100 feet from the greenhouse. Luckily no one was hurt and no other property was damaged. We will be working with local builders to rebuild it in the next few weeks. This greenhouse will hold all the baby greens for the first baskets in May. We are excited to have sweet, hot, frying, yellow, red and Mexican peppers, traditional, lavender and long purple eggplants, cherry, tomatillos, red, plum, orange and tie dyed tomatoes growing. We have 3 types of greenhouse tomatoes for extended season harvesting. We have flats of yellow and red beets, rainbow chard, green kale, Russian kale, arugula, lettuce, spinach and stir-fry greens started indoors. Our vegetable wash and pack area has been completely overhauled. We are installing a new 3 basin stainless sink and stainless shelves.The calves are growing and waiting for their weekly walks outside. In the cheese plant we are working on two new cheese-Havarti and Havarti with dill. We are looking for help in naming both cheeses. Email the farm with your ideas. Posted 3/20/2019 12:13pm by Kerry Gawalt. Thank you to everyone who responded to our CSA surveys. You can still respond. Finally the snow is starting to recede and the garden is taking shape. We will send out a summary of the vegetable survey next week. We have a few shares available at the DHMC, Lebanon and Hartland pick-up sites. We have a new batch of beef available by the box, bag, 1/4 or half. The Farmers Body care shares will be sampled at Flavors of the Valley and at DHMC on April 4th. 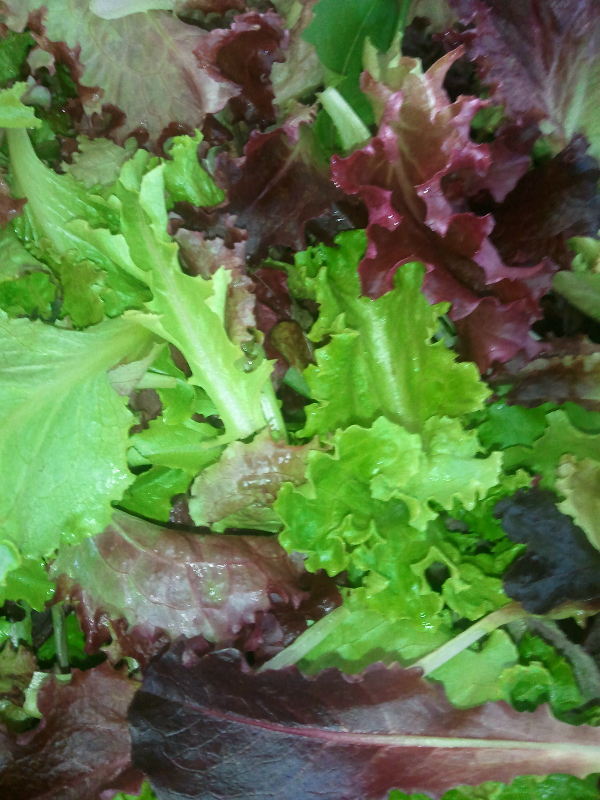 Artisan Eats Vermont will have flyer out soon with prepared food share options using our vegetables and beef. We have raw milk for purchase at the farm. As always there will be our cheeses and Cobb Hill maple syrup at the farm stand for purchase. See the links below to sign-up. Posted 3/4/2019 8:59am by Kerry Gawalt. Introducing Farmer's Body- a new way to support local farmers and access locally made bath and body products- through the Cedar Mountain Farmstand! Farmer's Body brings farm to tub, sink and shower. Farmer’s We are a Hartland, Vermont farm-based crafter of artisan bath and body products that highlight ingredients grown by small New England Farmers including tallow, honey, fruits and veggies, milk, eggs, maple syrup and more from Cobb Hill/Cedar Mountain Farm. With an environmental and social community conscience and ingredients your skin will love, you’ll feel good using our products- body, mind and soul. Join our new monthly subscription and receive products each month including bar soaps and foaming hand soaps, bath or shower bombs, bath salts/soaks, lip balms, lotions/body butters and more! Select from a variety of flavors and products available to members each month, including limited edition varieties like Summer Gardener's Soap and Fresh Cucumber Mint, as well as products not available every day in the farmstand. Unscented and vegan options available. Subscriptions are $55 and the run through the Cedar Mountain Farm Summer CSA season (June-October, once a month). Available for pick up at the farmstand on the 2nd Wednesday of the month, or wherever you pick up your Cedar Mountain Farm CSA share. Posted 2/28/2019 11:09am by Kerry Gawalt. Today is the deadline to sign-up for a guaranteed CSA share. We will finalize our garden plan and seed orders this week. We will start planting in our greenhouses are soon as the winter weather subsides. See our website for more details or email the farm with any questions. Posted 2/27/2019 11:22am by Kerry Gawalt. We are gathering information on the CSA for this season. Please email back responses to these questions. This will allow us to fine tune the rest of the vegetable questions. 1. Do you prefer pre-packed share, choose from a standard list and pack your own or pack your own from "zones", like greens, roots, tomato/eggplant, etc where you can choose within the zone any combination you want. 2. How do you feel if we partner with another local farm to bring things we don't grow like sweet potatoes, rhubarb, etc? 3. When we get into the November/December shares do you want weekly or monthly box of vegetables? 4. Would you come to a monthly CSA member potluck dinner on Wednesday CSA day at the farm? 5. Would you like to buy bagged composted cow manure from the farm for you home garden? It would be in a garden like a garden center. Last chance to sign-up for a CSA share this year. Posted 2/26/2019 12:01pm by Kerry Gawalt. Now is the time to sign-up for a Summer, full season or beef share. We will be finalizing our garden plans by February 28th. Sign-up this week to have a spot saved for you. We will have limited slots after March 1st. We will be seeding all the full season crops in early March. If you have a group that wants work place CSA drop off, let us know. We need 10 shares per drop off site. Posted 2/25/2019 3:15am by Kerry Gawalt. Posted 2/9/2019 9:36am by Kerry Gawalt. We will have Sweet Italian beef sausage in stock in early March. Available by pre-order on our website. 20-1lbs packages of Sweet Italian Sausage ( 4 links per package). We will have beef available by the 25lb and 50lb box, 1/4, 1/2 or whole beef. Custom cuts available. Order by Tuesday February 12th to reserve your beef.